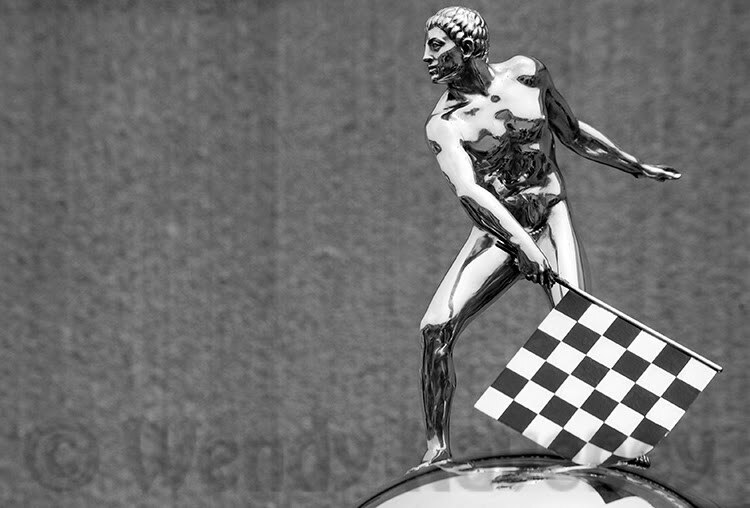 Traditionally in the Indianapolis area, the month of May has been packed with race related events leading up to the pageantry and excitement of "The Greatest Spectacle in Racing." Most areas of the track are open to the public on Community Day, including "Gasoline Alley" where all the race teams work on their cars. This image was made kneeling beside this pit crew member during a pit stop practice session in one of the garages. 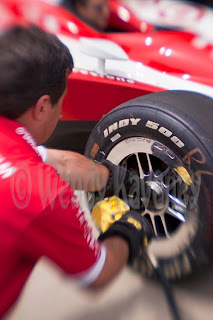 I chose to shoot this photograph with a Lensbaby, making the 'sweet spot' frame the words 'Indy 500' on the tire. The blurred edges create motion to an otherwise static image.